The Mobile World Congress provided a chance to see Acer’s CloudMobile phone up close and personal, and the limited glimpse I got of the device left me impressed. We learned about the CloudMobile phone a few weeks ago when it won the iF design award 2012. I’m a sucker for stylish product design and appreciate when phone manufacturers put as much though into the a phone’s aesthetics in addition to its specs and features. Acer didn’t have an official booth, but I managed to track down a CloudMobile demo unit tucked away in the corner of Google’s Android Pavilion at the show. I only got to see a little bit of the CloudMobile phone as the hardware and software is still in preproduction. Acer’s product manager for smartphones, Wahid Razli, could only show me the lock screen, home screen and video player. Even with this limited demo, I was still impressed by the CloudMobile. There’s a reason this phone won a design award -- it’s gorgeous. The super-slim phone (apparently less than 10mm thick) feels well-constructed but looks elegant with its rounded curves and button-less face. 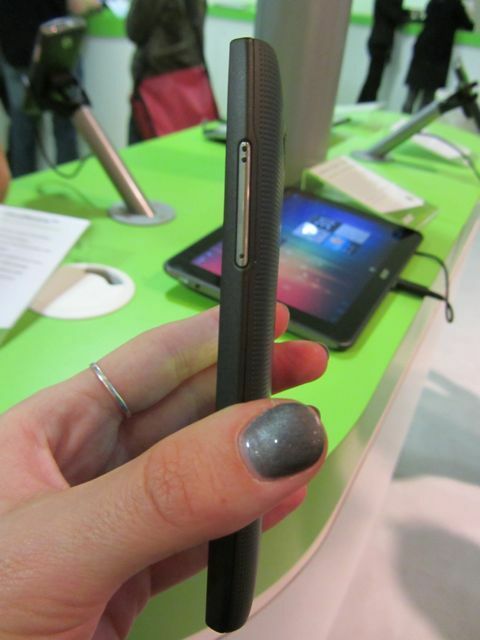 The textured, curve back feels nice in hand. 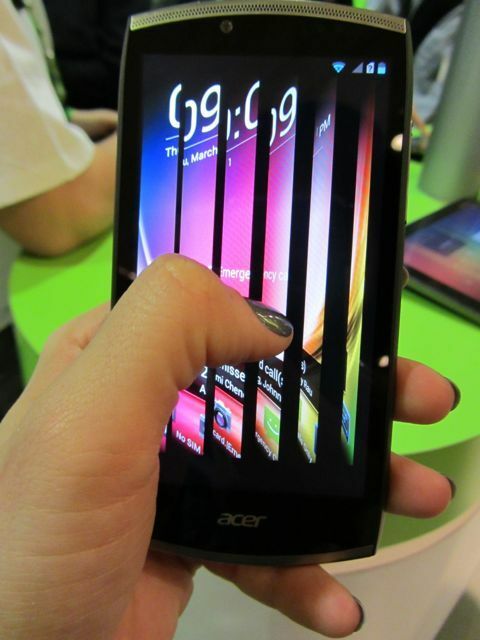 Acer put a customized lock screen over Android 4.0, also known as Ice Cream Sandwich. As the software build isn’t final, it is hard to comment on the rest of the OS. 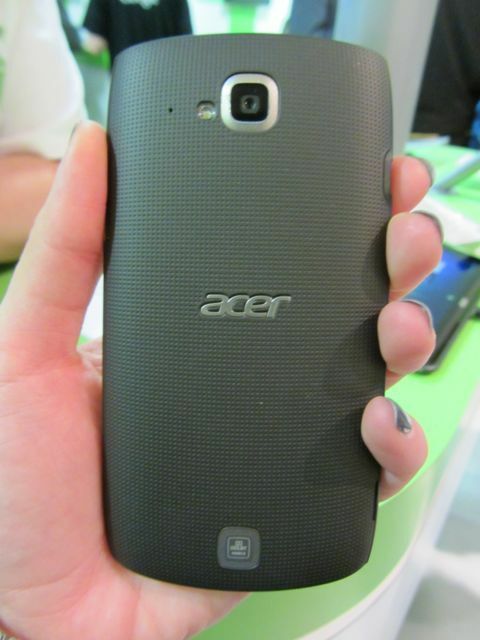 Razli told me that Acer plans to add some branded widgets to the final version of the phone. Spec-wise, the CloudMobile seems to hold up with the competition. It is powered by a Qualcomm 8260A dual-core 1.5GHz processor with 1GB of RAM and 8GB of storage. It has a 8-megapixel camera with “rich imaging features,” though I was unable to test it and see if these claims are true. The CloudMobile phone will be the first smartphone to integrate with AcerCloud technology, which is the company’s new cloud service that offers unlimited Web-based storage. There are currently no plans to bring the CloudMobile phone to a U.S. LTE network as Acer doesn’t yet have a partnership with Verizon or AT&T. If the phone performs as great as it looks, I’d love to see the CloudMobile stateside.